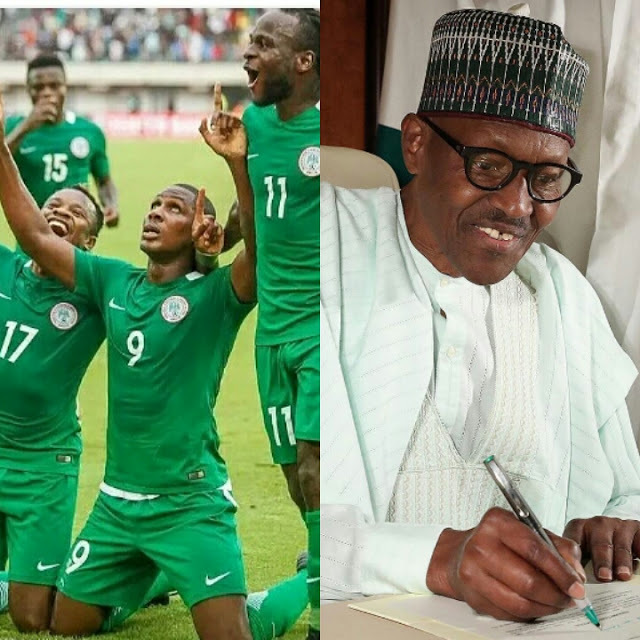 Barrister Solomon Dalung, minister of Youth and Sports, has congratulated the Nigeria’s Super Eagles for their massive 4-0 triumph over visiting Indomitable Lions of Cameroon in the 2018 FIFA World Cup qualifying match played at the Godswill Akpabio Stadium in Uyo on Friday. Following FG’s promise of rewarding every strike made with N5Million, the national team will receive N20million Naira for the 4 goals scored. “The Nigeria Football Federation has been on its toes to ensure that he Super Eagles qualify for the next World Cup. You worked very hard for this victory and Nigerians are proud of you for always raising the flag when it matters most.